here are a few pictures on my take of the tail swap. This swap uses all existing tail components to mount. This swap is not for a passenger seat.thanks for looking! Well dam. That looks pretty good. I've never done a tail swap, but it seems to me you would need to get the tail in position where it looks right and THEN build your brackets. 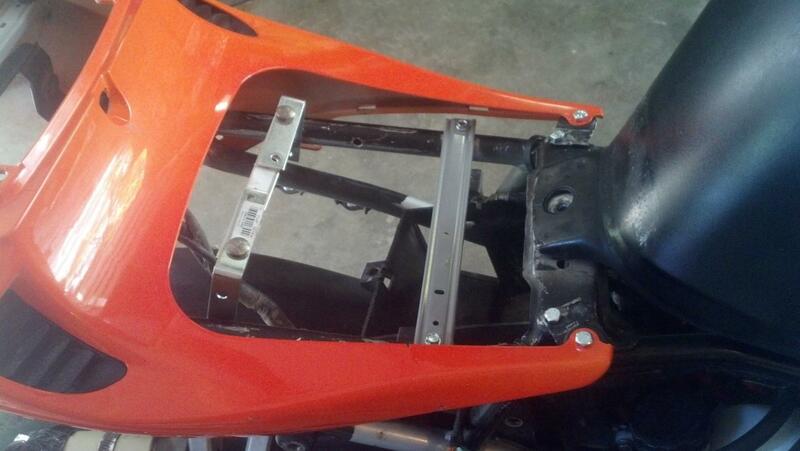 I have the 05/06 600rr tail on mine with finished and working passenger seat , lock and undertail...on the f4 subframe. Took me most of this past winter to do it but with some imagination it came out like factory. Wish I could post pics here but it never seems to work for me. Looks like your on the right track though, good luck! Would like to see your conversion also. If you want message me and ill send you my email addy to send the pics to and i can post them up for you. I'm interested in the swap as well, just for gits and shigs... I am looking to swap up my rear end to something else. Email sent. The mod was done with the f4 subframe which of course has to be chopped to fit the 05/06 tail at the tail light which leaves no mounting area for the pass. seat. 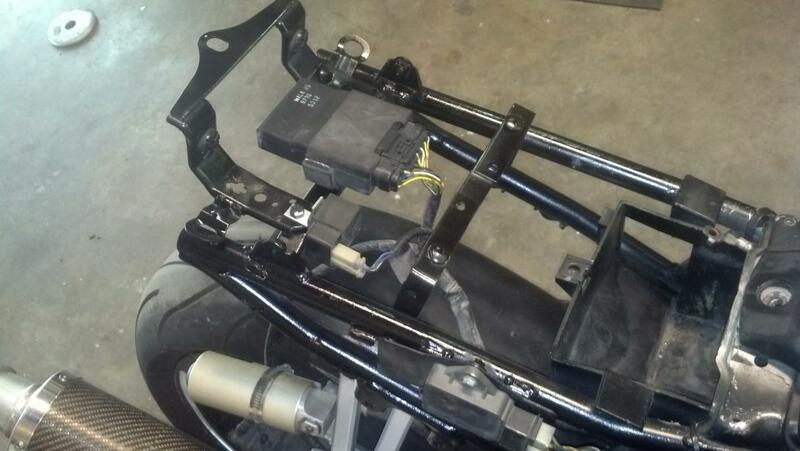 This was the hard part as you have to fabricate a new passenger subframe onto the original f4 subframe. I can give an exact description and pics of what I did but everybody has different ideas so no biggie how you do it just know there is metal work requiring careful bending and shaping to achieve the proper mount point for the pass. seat. After that it's all down hill. I had an f4 undertail originally with a key lock and if you have one it will be used as the rear half of the undertail for your new 600rr tail. 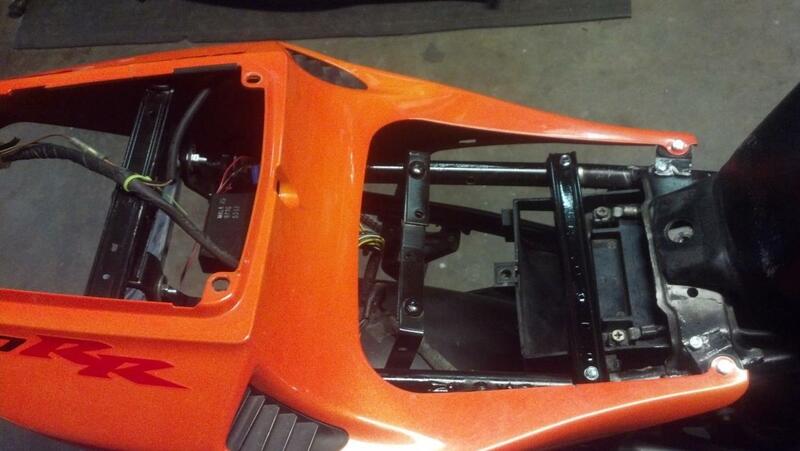 I mounted all the electronics in a sheetmetal box I built right behind the battery. That makes the foward half of the undertail. 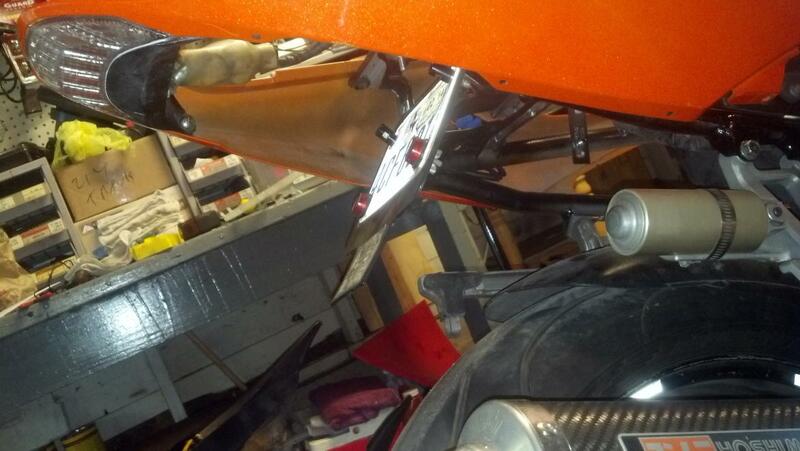 The pics will explain alot more I just have to send them to cbr600f2 so he can post them for me. I never seem to be able to get pics on here. Fobwareagle, That tail looks awesome on there. Can I also get the email you sent out and some more pics? This is most likely going to be done over the winter (I'm in Alaska, I have a while haha) so hoping to have a project for this winter. 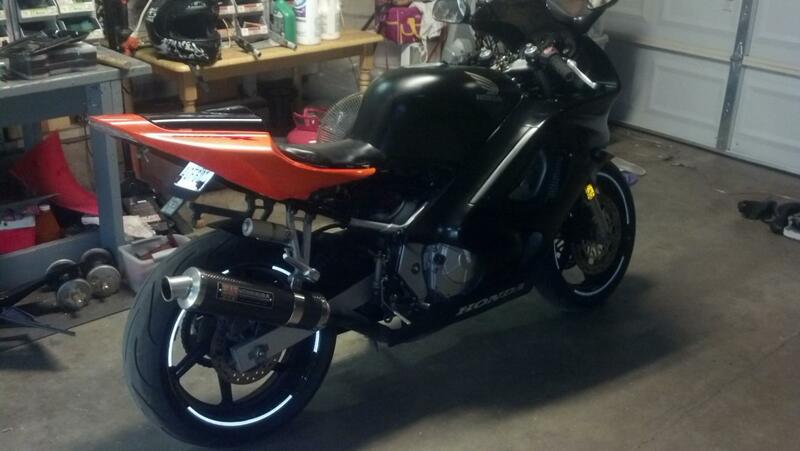 W/ 600rr tail swap should I use subframe or modify the f3 tail? What kind of fender eliminator do i have?